In the fall of 2004, a promise was made. The "what" of the promise was so very simple: Remember a friend. The "how" of the promise...well now, that's the reason we're here. The scholarship application for 2019-2020 is now available! Check out The Scholarships page for more details. The first thing you noticed about Steph DeGuire was her size. At 4'8", she was tiny by any standards. She certainly also caught your attention with her strength. She called herself stubborn, but her personality was made up of resilience and a quiet determination to succeed in everything. "Cystic Fibrosis is an inherited chronic disease that affects the lungs and digestive system of about 30,000 children and adults in the United States (70,000 worldwide). A defective gene and its protein product cause the body to produce unusually thick, sticky mucus that clogs the lungs and leads to life-threatening lung infections; and obstructs the pancreas and stops natural enzymes from helping the body break down and absorb food. In the 1950s, few children with cystic fibrosis lived to attend elementary school. Today, advances in research and medical treatments have further enhanced and extended life for children and adults with CF. Many people with the disease can now expect to live into their 30s, 40s, and beyond." 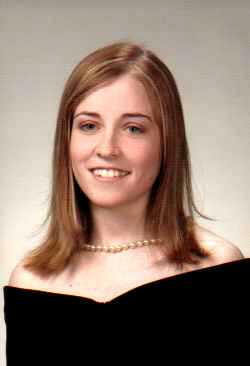 Stephanie Lynn DeGuire lost her battle against cystic fibrosis on October 16, 2004 at the age of 22. She was a dedicated student and faithful friend. She didn't just exist during her lifetime, she lived. She was one of those people you could always depend on. She attended school full-time, held offices in her professional organizations, and gave generously of her time to friends and family...all while fighting for her life on a daily basis. One night Stephanie and her roommate were in their apartment and were up very very late, discussing the usual things that girls in their 20s discuss when there's nothing good on TV, no tests or papers need to be written, and they really have nowhere to be all that early the next morning. Sadly, these two ladies also each carried a burden way too heavy for any one person to carry by themselves. Stephanie's mother had recently passed away, and the roommate's father was dying of a terminal form of cancer. Not surprisingly, the conversation turned to legacies, memorials, monuments, and the like. Steph was very interested in having her own legacy be something charitable. She liked the idea of scholarships, and suggested that as a token of their friendship, the roommate should make that happen for her. The roommate tried to sway Stephanie to consider having a street named after herself or perhaps a bit of highway could be adopted. 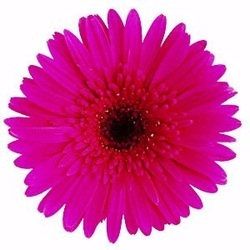 Not one to be easily influenced, scholarships were what she wanted, and scholarships Stephanie would have. The promise was made, and the promise is kept. No instructions were given as to the amount of the award or the number of awards to offer, as Stephanie passed away a few short weeks after that late night chat. SLDF currently offers 3 scholarships of $750 each, awarded each year in August. This is the request that got the most discussion, and it was easy to see that this idea had been floating around Stephanie's head for some time. The second promise she asked of her roommate was to throw a party each year where the guests wore only black and white. There should be red roses, high ceilings, and lots of windows. There were other particulars discussed, of course, and as many details as possible were incorporated to make each year's ball something that hopefully came close to what Steph had pictured in her head. We hosted the "Promises Kept" black & white ball for 10 years before we were forced to discontinue it due to rising costs and declining attendance.